Apple iOS 10 for iPhone, iPad and iPod touch has already been released, and iOS-Jailbreak community is now looking forward to get Untethered iOS 10 Jailbreak with Cydia Tweaks and Apps. 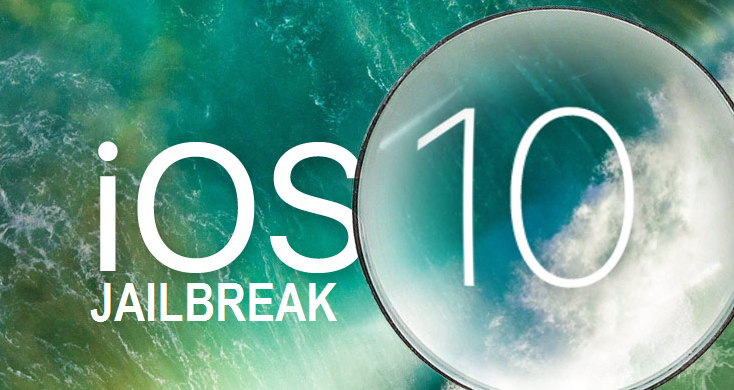 All iOS-hackers and iOS-developers are working hard on potential vulnerabilities, exploits and codes to release successful iOS 10 Jailbreak for iOS smartphone and tablet devices i.e. iPhone 6S, iPhone 6S Plus, iPhone 6, iPhone 6 Plus, iPhone SE, iPhone 5S, iPhone 5C, iPhone 5, iPad Pro (12.9-inch / 9.7-inch), iPad Air 2, iPad Air, iPad 4th Generation, iPad Mini 4, iPad Mini 3, iPad Mini 2 and iPod Touch 6th Generation. We at TechGlobeX try our level best to keep update and inform our valuable readers and followers about all latest iOS Jailbreak news and updates. The main purpose of this post is to provide every Apple iOS 10.x.x Firmware Version Jailbreak News and keep this article alive for all iOS 10 Beta versions Jailbreak tools and all iOS 10 Final versions Jailbreak tools as and when releases or leaks over internet time-to-time by team PanGu, team TaiG, team 25PP or any other iOS Jailbreak tool developers. So check-out list of iOS 10 Jailbreak updates leaked till date below. A well-known Canadian iOS-hacker named "iH8sn0w" who has also developed iFaith and Sn0wbreeze jailbreak tools in past has recently demonstrated a video of iOS 10 Beta 1 Jailbreak with Cydia v1.1.26 installed and running on iPhone 5 (32-bit) device. So check out video below. Release date is unconfirmed by iH8sn0w.